Efficiency, as expected, is very good from 25 per cent to 100 per cent load. The numbers are a little better than the AX760 at low loads but a smidge worse at 75 per cent and 100 per cent loads. Most supplies overvolt with little load and undervolt when stressed. The ATX specification is simply too lenient to trip-up any high-quality supply. Underscoring this, we've not had a single PSU fail the ATX specification thus far, though do understand that any PSU with a total leeway of below two per cent is considered to be premium quality. In particular, the 100 per cent load figures are exemplary. How about providing uneven loads that stress particular voltage rails? In the first attempt, we've put 60A on the 12V rails, and 1A on the 3.3V and 5V rails. This can actually be somewhat typical for a system heavy on graphics and CPU power. In the second, we've turned the tables and gone for 12A on both the 3.3V and 5V rails - highly unlikely in a real-world environment - and just 2A on the 12V - even more unlikely! Hammering one part of the PSU power delivery while using just a small portion of the other can throw cheaper supplies of out kilter. There's little variation going on here; you're looking at just over two per cent from a best-to-worst-case scenario. Following on from the regular tests, anything below three per cent is premium. Suppression of ripple is marginally better than the Corsair AX760's - read excellent - but both PSUs are well, well within the tolerances ascribed by the ATX spec. Temperatures are good to excellent for the three tested settings. Temps are good but they mean little in isolation. Obtaining accurate noise readings is near-on impossible when the supply is connected to the Chroma test harness and dual-unit load-tester. 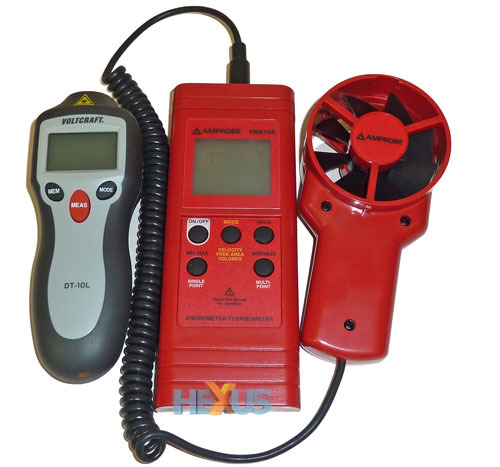 We can test the manufacturer's quietness claims in a different way, by using an AMPROBE TMA10A anemometer placed directly over the centre of the PSU. The anemometer records the airflow being pushed/pulled from the PSU's fan. We can use a Voltcraft DT-10L RPM meter to measure the rotational speed of the fan, too. As usual, we also installed it onto our high-end PC, equipped with a GeForce GTX 680, and ran through a few games. The 140mm Globe Fan, while active, is not noticeable during regular gameplay.